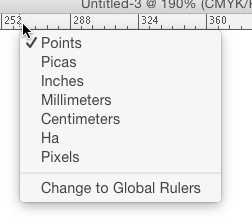 Change the artboard dimensions unit of measurement in Illustrator? In Adobe illustrator CC 2015 can I change the artboard dimensions unit of measurement? For example I buy a file online and the dimensions of the artboard are in px and I need it in mm. Changing the value here will change the units used by your artboard(s). Control-Click or Right-click the Rulers at the edge of the window (View > Rulers > Show Rulers) and pick whatever measurement system you want. Not the answer you're looking for? Browse other questions tagged adobe-illustrator artboard measurement units or ask your own question. 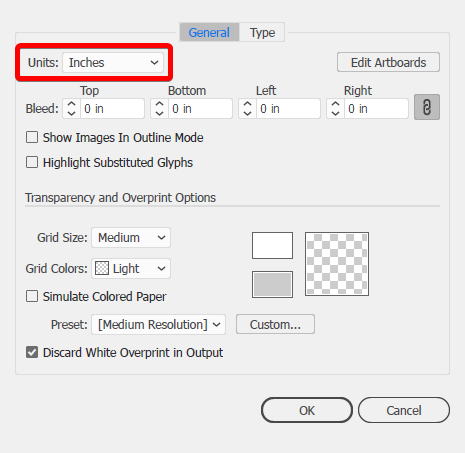 How to make millimeters the default measurement unit in Adobe InDesign? Given one exact measurement, how can I use it to measure the rest? How do I specify the size of my artboard in pixels with Adobe Illustrator? Illustrator Artboard dimensions for mobile ui design? Illustrator: how to change the artboard number? How to set the export dimensions in Illustrator? What dimensions should my Illustrator artboard be when designing for a wallpaper for the walls of my office?